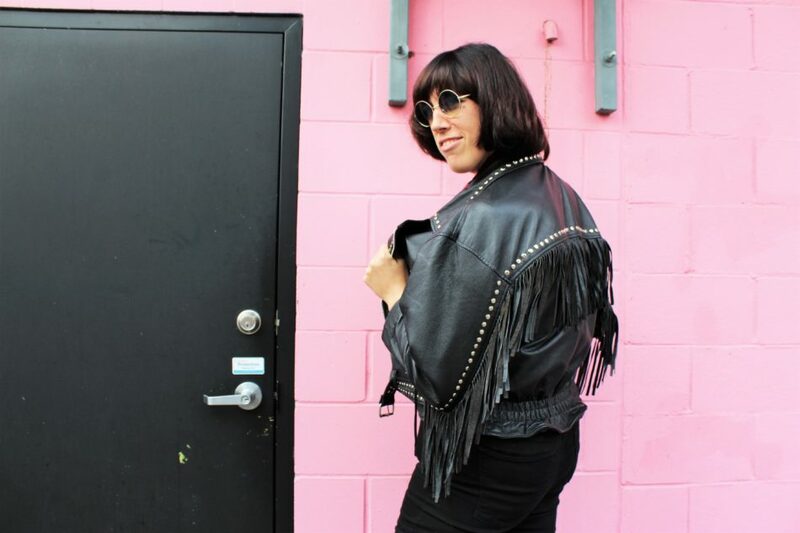 As much a nod to Joey Ramone as it is a means of self-discovery for Vancouver musician Lauren Smith, the debut of Smithy Ramone promises to deliver an energizing burst of bop-along punk. The EP, Cursed, will come in a zine that follows the ill-fated life of Smithy Ramone, a leather-clad bassist who learns from a psychic that she’s being flanked by two dark energies. How Smithy handles this revelation is the theme of the zine and the EP, a package deal that will be distributed from Canadian comic stores and shows of the local band Jock Tears, Smith’s other Vancouver project. The story of the bassist who discovers that she’s cursed truly did originate from Smith’s own life. Over the past few years, she has seen psychics in three different cities only to receive the same bad news. When she met the first of them in 2012, she was told that she was a “real bad dude who murdered his love” in a past life. When the first healing didn’t work, the psychic said that she would need to light one white candle per day for 60 days—for the price of $10.00 per candle—to lift the curse. She turned to the internet, to rid of the curse herself, to no avail. Then, on two later tours, she was told that she was cursed by psychics in Toronto and San Francisco. The zine and EP also tell the tale of how Smith found her favourite leather jacket, which she picked up at London’s Camden Markets while travelling with a band. When she got home, she realized that she had left her jacket in a living room in Brussels. When it comes to the sound of her debut, Smith says she was inspired by “the simple sweetness of Joey Ramone [and] the three-chord love song.” She also wants to emulate the non-stop, high energy performance style of The Ramones, despite performing her set as a solo artist, and the tenderness of artists like Buddy Holly and Julie Doiron. Cursed will be released in Vancouver, where she’ll hold a release show in October. It will also be available for streaming online.